Each is gold-embossed on the front cover with the child's name. 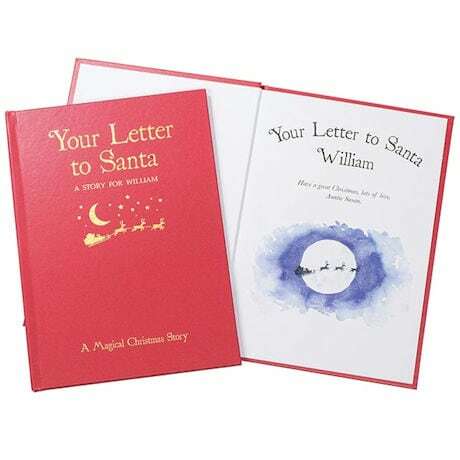 Your Letter to Santa is a journey of discovery, because the child's name is also found throughout the book, appearing in the story and in the illustrations. 8" x 11" hardcover books has a silk-finished cover and color illustrations throughout. Specify name (up to 12 characters) and a message for the title page (2 lines, 20 characters each). Allow 2 weeks. No rush delivery or gift box. Item can only be shipped within the Continental US.